No, not the sweater kind. 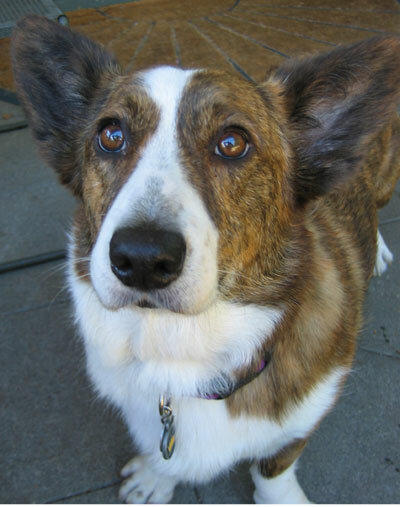 We're talking Cardigan Welsh Corgis, dogs short in stature but long in intelligence, gentleness and genuine personality. We had suffered the loss of our 15 1/2-year-old Husky, Nikki, and after a few months we were missing having a dog around. After doing some research and meeting an incredibly lovely Cardigan, Tai, who lives with our neighbors Laura and Rick, we decided to give this short-but-with-a-big-dog-personality breed a try. We knew that getting a puppy would be too much of a shock after having an elderly dog, and neither of us wanted to go through the house-training, chewing, manic craziness of a young dog. 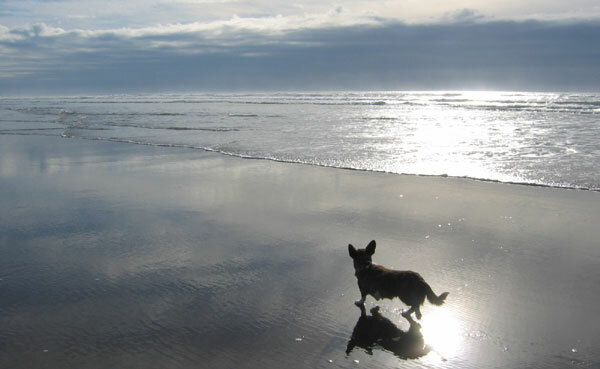 After contacting several Oregon breeders and asking if they had any two-year-old-plus dogs available, we met a breeder who was retiring a lovely girl of six from the life of a show and breeding dog. And when we met Rosey, we knew she was right for us. These dogs are great house pets but have the stamina to walk miles, especially if it's on a beach or in the woods. They're speedy, too, though it looks as though they'd have trouble keeping up with a family as tall as ours. And they love to have fun, whether it's chasing a ball or other dogs or tugging on the other end of a rope. Best of all, they're portable and love accompanying their families on trips. And you tell me...who could resist a face like this?